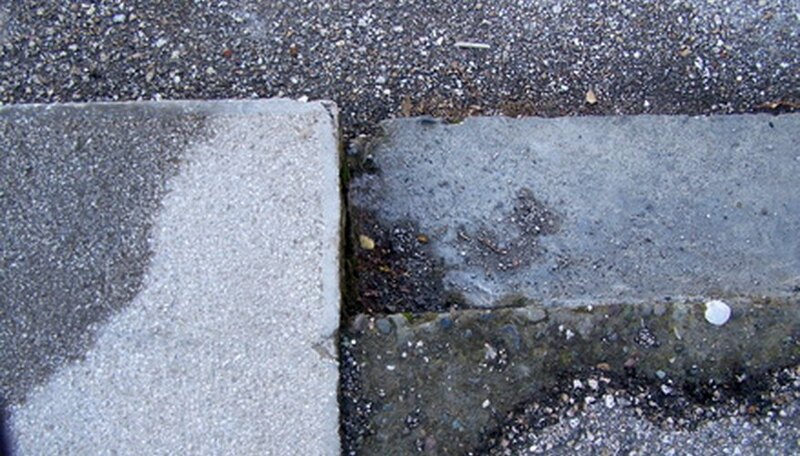 A space between two concrete slabs is not a pretty picture for most homeowners. Aside from its unappealing nature it can also be quite dangerous. Thankfully, filling in the space is a basic task that you can accomplish with a few basic home improvement tools. Properly fill the space with some well-mixed concrete mortar and avoid any future problems. Brush out any debris or rough edges between the slabs, using a wire brush. Moisten the space in between the concrete slabs with tap water. Pour the concrete mix into a bucket or wheelbarrow and mix with tap water in the ratio instructed on the packaging, using a shovel to integrate. The concrete mix should have the consistency of peanut butter. Scoop the concrete into the space with the shovel so that it is just above the level of the slabs. Compact the wet concrete into the space with the end of the pointed trowel. Smooth the concrete, so that it is even with the two existing slabs, with the flat steel trowel. Allow the concrete to cure for 48 hours before walking or driving on the space.